Ensure that the packing list arrives with the merchandise or let shipping papers double as address labels. 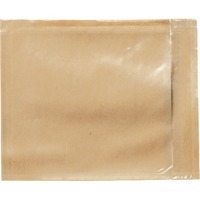 Poly, self sticking, waterproof envelopes are blank for easy customization. Permanent adhesive sticks firmly without moistening.